It's been much quieter than here than I had planned (some longer than hoped for days in the day job) and now it's going to go even quieter: I'm leaving for Islay tomorrow, for anyone who remotely knows me it should be fairly obvious for what. 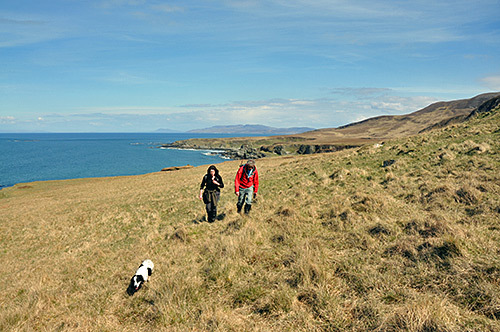 Yes, of course it's Islay walking week time again. Having been on at least one walk on every single one of the walking weeks since they started in 2003 I'm really looking forward to the very latest edition. I've written about this year's walks earlier, no change to that. As usual it will be quiet here while I'm away, but phone signal and/or wifi permitting I will aim to post on my @islayblog Twitter account and on IslayBlog on Tumblr. Hope to see you on Islay!